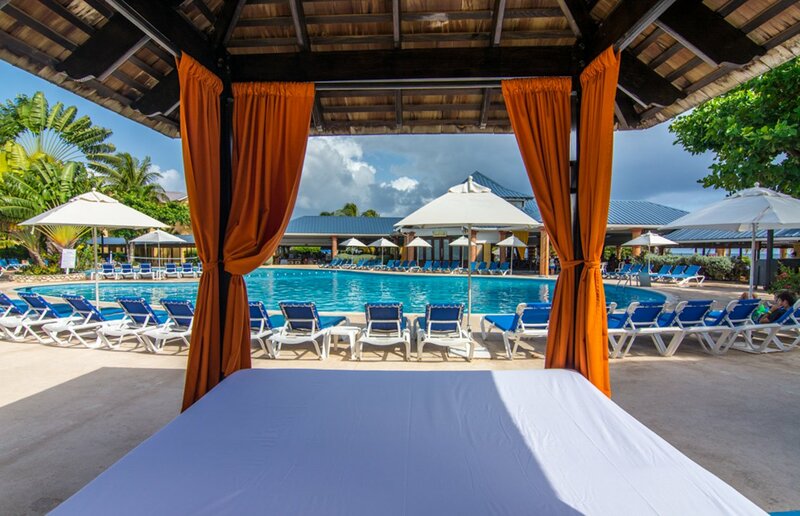 Located along Cardiff Hall Beach, the tropical playground of Jewel Runaway Bay is a family-friendly resort surrounded by Jamaica’s lush jungles and scenic views. Whether you want to lounge in a hammock between palm trees oceanside or play with the whole family at the water park, this resort offers something special for every guest. With quiet coves and shady beaches, a Jewel Runaway Bay wedding will have you and your guests feeling like you have escaped to paradise. Say “I do” at the open-air chapel on the beach, a most unique wedding venue! There is an 18-hole private PGA-quality golf course located on-site, that has hosted the Heineken World Cup Western Qualifying Tournament and the Jamaica Open. For added luxury during your destination wedding book a romantic suite that features its own private plunge pool, with butler service. The base price for this package is $499, but complimentary when booking a minimum of 6 nights in a Oceanfront Jr. Suite room category or higher. Upgraded packages, additional guests, and add-ons are available for an additional cost. Rooms range from $200 – $250 per person per night. Every room includes complimentary wifi and private balconies. Children 5 and younger stay free when sharing a room with parents. There are 268 total guest rooms with views of the ocean, garden, or pools. Connecting rooms and handicap accessible rooms are available upon request and only with certain room categories. Beach – 200 guests max, Garden – 200 guests max, Chapel – 24 guests max. All rooms allow up to 2 adults and 2 children max, or 3 adults. Children are ages 14 and younger. The resort will host no more than 4 weddings per day, Monday thru Sunday. Ceremonies can be held at 11am, 1pm, 3pm, and sunset. No ceremony will be held at the same time. High-season months typically include January, February, March, April, June, July, November, and December. It is always encouraged to have your guests book their stay 6 – 12 months in advance. The wedding coordinators typically respond within 48 hours. During the resort’s busy season, they may take longer. 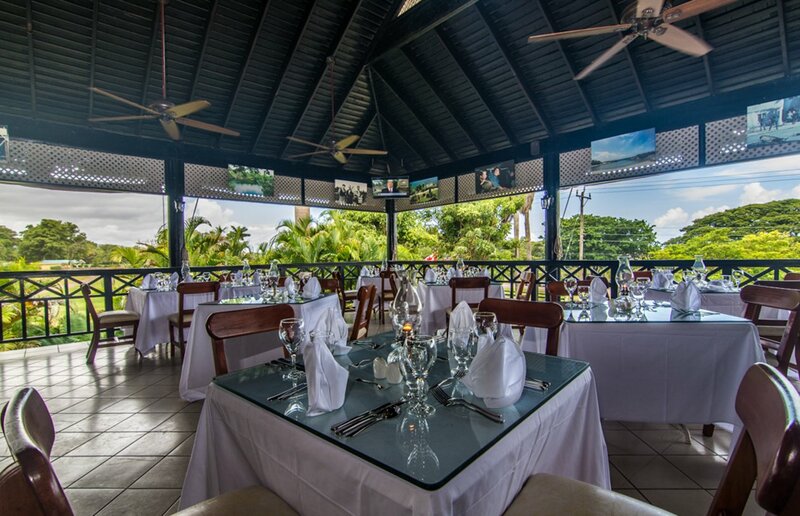 Jewel Runaway Bay is located 38 miles from the MBJ airport. The resort is about 30 minutes outside of downtown Ocho Rios. Q: What makes Jewel Runaway Bay such a great place for a destination wedding? A: It is family friendly and we have this great new water park for all ages to enjoy. Gives everyone lots of options while getting ready for the festivities of the wedding. The room categories offered at this resort vary from your traditional suites, to beautiful oceanfront rooms that include pools. Q: What are the challenges brides face when planning their destination wedding at Jewel Runaway Bay? A: The resort can sell out very quickly which leads to limited room availability. We always encourage guests to book their stay 6 – 12 months in advance, and encourage our brides to get their guests to book rooms in advance. Q: Are there anything about the venues? 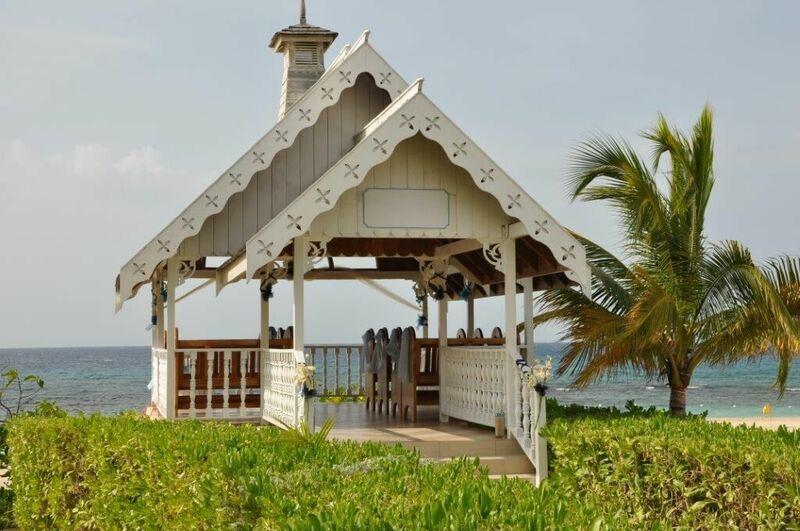 A: We offer a beautiful and very unique a chapel located on the beach. It is an open-air chapel, so you can feel the breeze off the ocean and listen to the sound of the waves crashing behind you even if you prefer to not have a beach wedding. To learn more about this interview or if you have your own questions contact us here!